I can hardly believe that Xmas has come and gone and Summer is all but over. Being in sales, and in particular the print industry, means that you come into contact with just about every sector of the market. The print industry may have shrunk – but it still touches every business that I know of in some respect. Last year proved to be a very successful year for us. We managed to more than double the modest 2014 sales total and we are off to a cracking start for 2016. Mike and I are now the Dunedin Branch (as opposed to a franchise) and we are looking forward to a lot of positive changes during 2016. 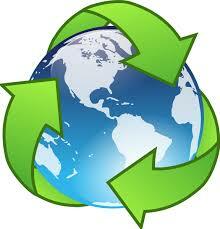 We have noticed an increase in our customer requests for information about recycled paper. Most are surprised when we explain the answer to going green is not always as easy as just buying paper that is marketed as recycled. Over the last decade obvious climate change and pollution levels have seen a growing awareness of our environment and the impact we have on it. My teenagers know a lot more about conservation than I did when I was 30. Recycling paper became very popular in the 1980’s with the first recycled “fine papers” becoming readily available in the market around that time. These papers were used for letterheads, business cards and other office stationery. Prior to this recycling was mainly used only for downgraded products e.g. fine paper would be recycled into kleen-saks, brown paper bags and packaging. New technology allowed fine papers to be recycled back into fine papers. Sometimes rags and cloth fibers would be added to give a visually “recycled” look. As a young sales rep in the 1980’s I thought that recycling would really take off. Especially with my “hippy” customers. In those days I literally sold tons of “lineflo” for dot matrix printers (now almost made extinct by laser photocopiers). Many of my customers showed extreme interest in the slightly creamier recycled lineflo when it was first introduced……………that was until they saw the price of recycled products. In the 198o’s and 90’s recycled paper was a flop due to the comparative high cost . Fast forward to the last decade. Opinions in the print and paper industry are divided as to whether recycling is actually good or bad for the environment. Even last year there was a fairly heated bit of banter in one of the leading printing industry magazines between the opposing factions. In the blue corner we have those that believe that the best way of handling paper is simply to bury it. Simplistically, the contention is that it takes more energy and creates more pollution to recycle paper than it saves -when you take into consideration all of the energy required to de-ink, clean, pulp and then reform the paper (there is a substantial amount water, chemicals and energy in the way of heat, transport, power and by-products used to achieve this). If we simply bury all waste paper this prevents it from being burnt and thus carbon entering the atmosphere. I guess it would eventually end up as coal and petrol after a few hundred millennium buried underground, although by that time we will probably not require fossil fuels or even be on this planet. We may have set off for greener pastures. Proponents of burying paper waste tend to be also more focused on where our paper comes from. They advocate the “chain of custody” method – where emphasis is on providing managed forests specifically planted, grown and managed for the production of paper. This makes a lot of sense as it protects against deforestation which arguably causes more damage and climate change than pollution. In the red corner we have the Recyclers. Very simplistically Recyclers believe that the energy required to grow trees, harvest them and manufacture in paper mills is too great and should be reduced by recycling paper. Less virgin paper production also equals more trees. The newer generations of buyers and organisation leaders are willing to sacrifice brilliant whites for their branding – which paves the way for less processing and for the use of rapid growing plants such as hemp – to be considered for paper production . Great advanced are being made with the production of hemp and recycled pulp papers. Hemp can provide long fibers that can be mixed with short fibers (from recycled pulp for example) to produce high quality paper for a fraction of the energy and water cost of virgin wood pulp paper. Is our paper green now anyway? The printing industry has come a long way in the last 20 years. Printing was one of the dirtiest/polluting industries just a few decades ago. The printing industry has really put a lot of energy and effort into cleaning up its act and, compared to many other industries, it can now claim to be one of the most environmentally conscious. Highly toxic heavy minerals and dioxins were used in ink manufacture. Almost all have now been replaced by vegetable dyes and water based inks. Bleaches, chlorine and corrosive chemicals used for paper whitening have been replaced with oxygenating techniques and newer technologies. Most paper forests are now managed tightly with only a few rogue nations needing to be pulled into line to prevent deforestation continuing. 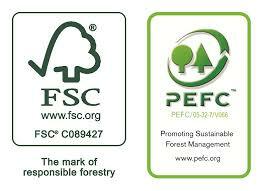 The theory of “managed forests” for paper production is very compelling and the associated certifications of FSC, PEFC, EnviroCert etc continue to grow and become the standard. We just need them to become a world wide legal standard. The Recyclers may yet have their way through technological advances. 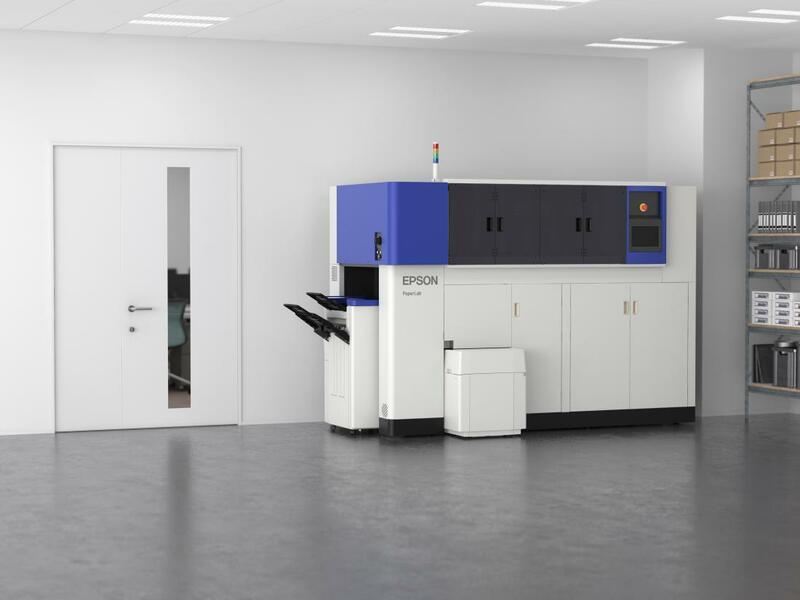 Epson has announced plans to release an in-office recycling machine called PaperLab this year. This machine is designed to sit in the basement of large office buildings and recycle paper previously destined for the shredder or dump. About the size of a large photocopier/digital printer the PaperLab cleans and restructures used paper into various colours and thicknesses. PaperLab claims to be able to recycle 14 x A4 sheets per minute – that’s almost 2 reams and hour – depending on colour and weight selected. It apparently does not require water to be added though details on the process are not yet clear. Epson could be onto a real winner if it carries the concept through to completion. It would certainly prove attractive for security reasons and silence many arguments against recycling. I guess it would be kind of neat to have a steady supply of paper on the shelves too. Meanwhile if you want to “go green” on your print requirements – you are welcome to call into the studio and talk with us. We are going to have a lot of changes in studio this year and will be “going green” in a very different way soon.